It has been ages since I had fried catfish, so was happy to give this truck a try. The catfish was good. Hot, crispy and tasty, and plenty of it. Would have loved to have a side of hush puppies to go with it. The red beans and rice was very bland and a disappointment. They need to throw a ham bone or some seasoning, or even some salt in with the beans - something to give it some flavor. I can recommend the catfish, but skip the red beans and rice. I am sad to see so many bad reviews for this food truck because I had a great experience with them. I got got food from them at the monthly food truck festival at Navy Yard. I got an Oyster Po Boy and my friend got the fried catfish and old bay fries. We all thought the food was delicious. The portions for both dishes were big. The oyster po boy was full of fried oysters. The fry on both the catfish and oysters was perfect and crispy, not at all greasy. Both dishes were well seasoned. The french fries were crispy and had a ton of old bay on them. I love old bay so I am not going to complain about that but I can see how it can be a bit much for some people. Everything was made to order and fried on the spot. The service was okay. The festival was very busy and the line for this truck was really long. It took at least 15 minutes for our food to be made but I felt this was understandable since it was so busy and everything was being fried to order. The man collecting taking orders was nice enough. I am not sure if I got lucky or if the food at this food truck has improved. In any case, I would get the food from here again! Over priced for just the sandwich. Shrimp was not hot, lukewarm at best and the toppings to include the sauce, was very skimpy. They cook all their stuff fresh to order, and this is what I always get when I find this truck,always hot and fresh! 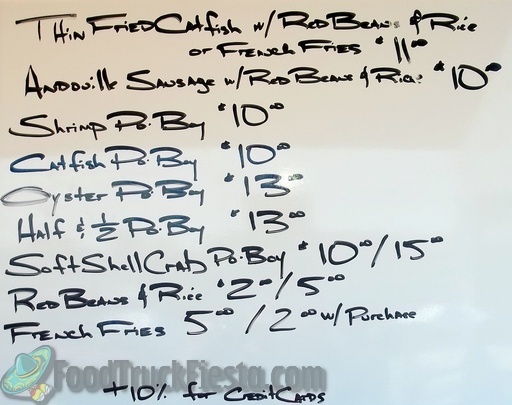 First of all, the oyster po boy w/red beans and rice costs $13 so it should be pretty darn good to justify that cost. I was disappointed with the fried oysters. They were heavily battered and very crispy and the oysters got lost in the process. Some of them were very small. The bread is just okay. The red beans and rice were good but not impressive. I give the red beans and rice 3 stars and the po boy 2 stars. I might give the catfish a shot at some point but I'm not going back for the fried oysters. It really pains me to give a bad review to this truck that is supposed to be representing my home state of LA. The sausage tasted really bad and the beans and rice were undercooked. This was a rushed botched meal that left me feeling nauseous and cheated. I couldnt even eat it, just had to cut my losses and throw it in the garbage. If you are interested chef, I can cook you a real pot of red beans with some onions, bell peppers, scallions, a bit of smoked turkey for flavor or some real sausage. If you cant cook rice that isnt crunchy, buy a rice cooker. You might be able to pass that mediocre/poor cooking off on these city folks, but you will never fool a country girl with those hard red beans and crunchy rice! Cajunators is a cajun and creole cuisine food truck. 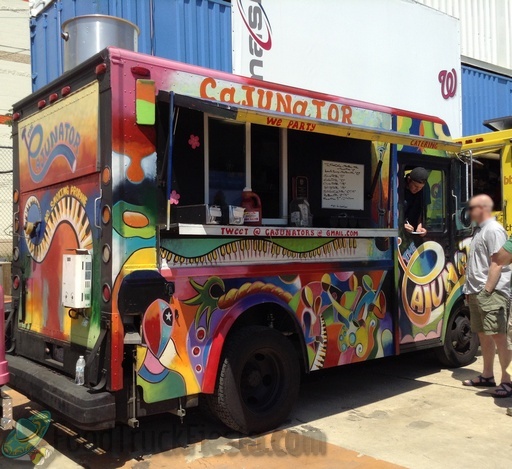 The cuisine was first introduced at the 2nd Truckeroo DC food truck festival on July 15, 2011. 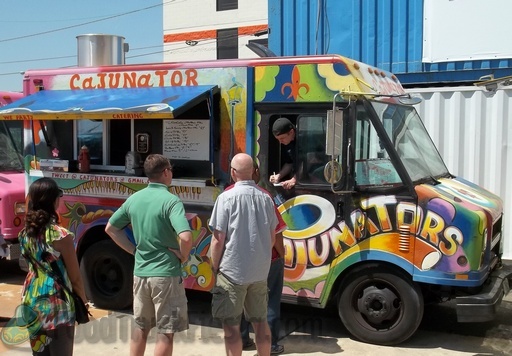 The truck officially launched on the streets of the District on about September 20, 2011 (at Union Station). The truck actually used to be the first Dangerously Delicious Pies truck before it was transformed into the Cajunators (Cajunators is not affiliated with Dangerously Delicious Pies).